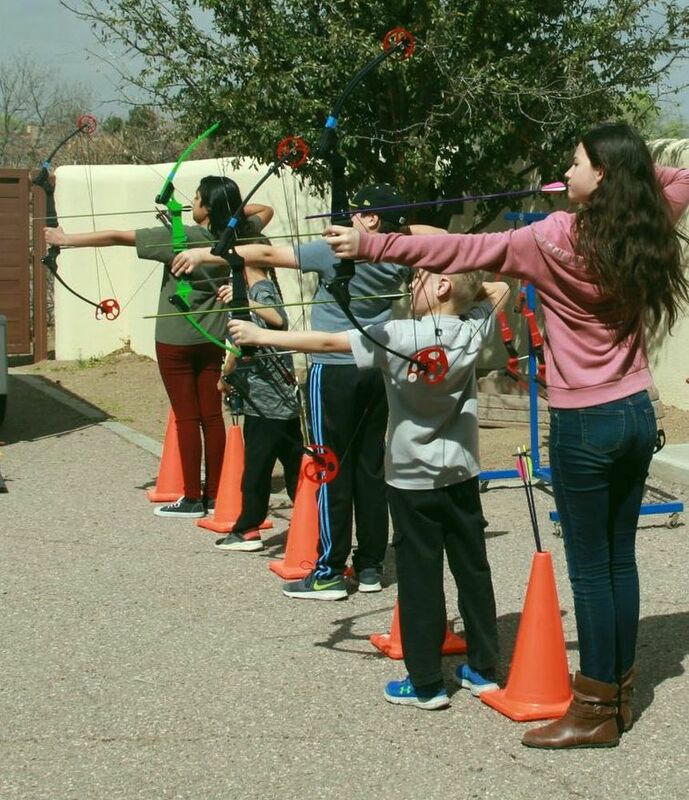 12 March 2019: A very windy day is not a problem for our archers in grades 3-7. They’re enjoying a sport that rewards precision and self-discipline. Thanks to New Mexico’s Fish and Game Department, and especially Jeremy Lane, we have a full set of equipment on loan: bows, bow rack, arrows, targets, and a backdrop. Lou Ellen Kay, our Head of School, instructed the students thoroughly in technique and safety. There’s so much more going on at the Las Cruces Academy in Mesilla, New Mexico – please check out our video.